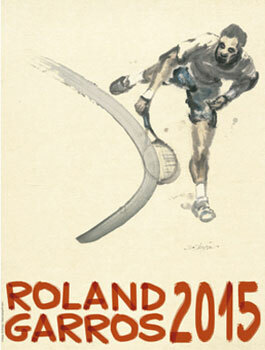 The start of the Roland Garros men’s main draw is nearing, but first we will have 128 players competing in the qualifying draw, who will be battling it out for sixteen coveted spots in that main draw. Ramirez Hidalgo is 37, but has only improved since the start of this year. Almost out of the top 250 in February, he now is ranked inside of the top 200 again after two semi-finals and two quarterfinals on the Challenger circuit. He is also exactly the type of player Rola might struggle with at this moment. Rola is coming off bad losses against world #515 Rogerio Dutra Silva and #250 Giovanni Lapentti in his last two tournaments. This is the biggest chance of one of the highest seeds getting knocked out. Brown has been struggling the entire year, first one the main tour and recently even at the Challengers. Daniel knew a rocky start to the year, changing his schedule in an attempt to become more capable on hardcourts, but ever since switching back to clay his results have improved, with the highlight being his title at Vercelli last month. Ouahab very nearly made the cut and it will be interesting to see how he will perform here. He is obviously infamous for only bringing his best tennis when he plays in Morocco, repeating that this year with three Futures titles, a Challenger title and a quarterfinal at the ATP 250 of Casablanca, where he beat world #24 Guillermo Garcia-Lopez in the second round. An unfortunate draw for Nedovyesov, drawing a Bhambri who is arguably playing the best tennis of his career, after struggling with injury for a long time. Bhambri comes off a clay final in Samarkand, where he lost to Teymuraz Gabashvili. Edmund has shown good consistency on clay in recent times, reaching three Challenger quarterfinals in a row, but it’s clear that it’s not his best surface. This is not the case for Melzer, who just comes off a dream run at the ATP 250 event of Munich, where he beat #42 Pablo Andujar (by retirement), #44 Dominic Thiem and took a set off #26 Philipp Kohlschreiber in the semi-final. 18-year-old top seed Hyeon Chung is currently ranked #69 and came into the qualifying event after missing the entry deadline due to a misunderstanding from the Korean tennis association, with the Roland Garros organization making a very unique exception in handing him a wildcard. Naturally, Chung is the big favorite to qualify, with perhaps Nikoloz Basilashvili being the only player that can threaten him on a good day. The second section knows a similarly big favorite in Alexander Zverev, also 18. Up until recently this might not have been the case due to Zverev’s results being seriously lacking, but recently he has really picked up his game. This saw him winning the Heilbronn Challenger and entering the top 100 last week. He faces Horacio Zeballos in the first round, who is a shadow of his former self and lost 6-4 6-2 to Zverev in the first round last week. The other players in this section don’t have clay as their favorite surface and perhaps Marius Copil is the only one who can threaten Zverev, in the final qualifying round. 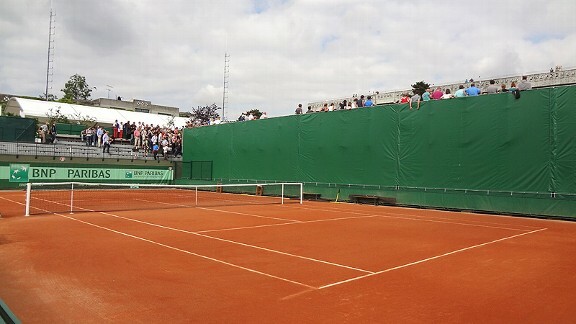 Third seed Facundo Bagnis has been playing on green clay in the United States in the lead-up to Roland Garros, with very mixed results. It wouldn’t be surprising to see him go out against one of Renzo Olivo, Andrea Arnaboldi or Denis Kudla in the final qualifying round. Arnaboldi and Kudla face off in a very interesting first round clash, in which Arnaboldi has to be marked the slight favorite, despite Kudla being the seeded player (#30). The fourth quarter is a highly interesting one, with a bunch of players who could go through. As said, Rola and Ramirez Hidalgo face off in the first round, but Roberto Carballes Baena, Elias Ymer and Thiemo de Bakker are placed in this section as well and might be more likely than fourth seed Rola to go through, with De Bakker coming off a final in Bordeaux last week. Although the Dutchman is highly inconsistent and might well return to mediocrity this week. Carballes Baena plays Peter Gojowczyk in the first round, but the German is just coming back from a lengthy injury lay-off and it’s far from certain if he is healthy enough to be a factor here. Carballes Baena might just have the consistent game to come through this section. As mentioned, fifth seed Brown has a horror draw against Daniel, with the Japanese clay court specialist actually being the slight favorite in their match. The main draw spot will highly likely be reached by someone in the top section, with Marton Fucsovics also being in the mix. The bottom section is headed by Michal Przysiezny and is unlikely to produce someone who can threaten the three candidates from the top half. Sixth seed Luca Vanni has been one of the revelations this season, making a breakthrough out of virtually nowhere at Sao Paulo, where he reached the final and almost took down the title, but eventually fell to Pablo Cuevas after a long battle. He has a tricky opening round against Adrian Ungur, but should come through and reach the main draw after beating the highly unpredictable Andrey Golubev in the final qualifying round. Seventh seed Norbert Gombos heads a section that could go either way. Outside of him, Yoshihito Nishioka and Guilherme Clezar all have a fair shot at qualifying as well. #23 seed Farrukh Dustov is in atrocious form at the moment and is unlikely to play a role. Given that Gombos and Clezar aren’t in the best form of their lives either, this might be a golden opportunity for 19-year-old Nishioka to come through. The eighth section is very hard to predict, with a wide variety of players having a shot at going through. James Ward and James McGee don’t have clay as their best surface, with with highly unpredictable players like Christian Lindell, Christian Garin and Daniel Munoz-De La Nava being their competition, being solid might just prove to be enough. Ninth seed Alejandro Gonzalez heads this section, but he comes off a demolition job in the first qualifying round of Rome, where he lost 6-2 6-0 to Thomaz Bellucci. The other seed here, Albert Montanes, seems to be heading towards retirement, which makes this an interesting opportunity for Andre Ghem or Antonio Veic, who face off in the first round. With Ghem being the more consistent of the two, this might be a golden opportunity for the 32-year-old to qualify for his first Roland Garros, although Gonzalez will still be the favorite to go through. Tenth seed Kimmer Coppejans is hard to ignore in the next section, playing the tennis of his life. Last month he reached two Challenger finals on clay, winning one of them and it’s unlikely that anyone in his section will trouble him. Radu Albot might come close, but he is more at home on hardcourts. As mentioned, eleventh seed Alejandro Falla faces off against cult hero Lamine Ouahab in the first round. If we pretend that Ouahab is a normal player this is a draw from heaven for him, if he beats Falla he is projected to play Niels Desein/Maxime Authom and Rui Machado/Alexander Kudryavtsev, but since Roland Garros isn’t played in Morocco it’s just as likely he will lose 6-2 6-2 to Falla. Nevertheless, given that this section has no other stand-out favorite, I might as well let my hopes guide me and predict him to go through. Closing this quarter is a section headed by Adrian Menendez-Maceiras, the 29-year-old Spaniard who is making an unexpected rise and is playing the tennis of his life, nearing the top 100. Based on recent form I have to go with Gerald Melzer, however, who is also a lot more at home on clay than Menendez-Maceiras. Nicolas Jarry, Potito Starace and Kyle Edmund are dangerous outsiders in this section. Thirteenth seed Guido Pella has been in more than excellent form, taking down titles in San Luis Potosi and Sao Paulo, plus reaching a final and semi-final in Heilbronn and Santos, making him the big favorite to advance from this section. Pella has an interesting rivalry with Facundo Arguello, the other seed here and the only one who could potentially threaten him, with their head to head being 3-3. They have met twice this year, remarkably with Pella taking the first meeting 6-4 6-3 and Arguello the second one 6-2 6-3. Nevertheless, Pella should be marked the favorite. The next section might go between two unseeded players, Yuki Bhambri and Jason Kubler, with Bhambri having the edge. Bhambri is severely underranked after coming back from injury, which he showed by reaching the Samarkand final last week. He is a favorite against fourteenth seed Aleksandr Nedovyesov in the first round and against the other players in this section as well, which includes Jurgen Zopp and Matthias Bachinger. Fifteenth seed Tobias Kamke heads the by far weakest section of this draw, which also includes Evgeny Donskoy, Iliya Marchenko and Somdev Devvarman. Not only is Kamke on an eleven-match losing streak, none of the other players is strong on clay. Normally Pere Riba would be the favorite here, but he hasn’t played all year due to injury and is far from certain to be match fit. No matter who goes through, he will likely be a very easy opponent in the first round of the main draw. The final section should be a prey for Marco Cecchinato, who won the Turin Challenger two weeks ago and is in excellent form. He has a very favorable draw against players who don’t favor clay, with the only competition perhaps coming in the final qualifying round, where he is projected to face Austin Krajicek or Filippo Volandri, both of whom will be a solid underdog against Cecchinato.